The Ink Trap: Spring Forward! Hey, all! Welcome back! How about that time change??? Yowza! Let me just say that I won't be joining the "Spring Forward" Fan Club anytime soon! The extra daylight in the evening is certainly delicious, but the price is hefty and it will no doubt take me a week to adjust. 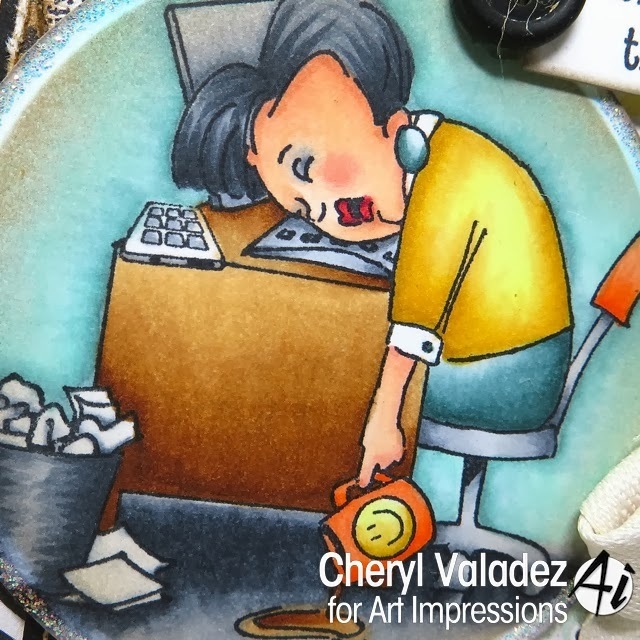 Leave it to Art Impressions to have JUST the image to perfectly convey my feelings :) This set is called Asleep on the Job and it's available in the Art Impressions Shop along with TONS of other goodies. Be sure to pop in for a good long visit. Speaking of sleep...I think I hear the Sandman calling! Tootles! 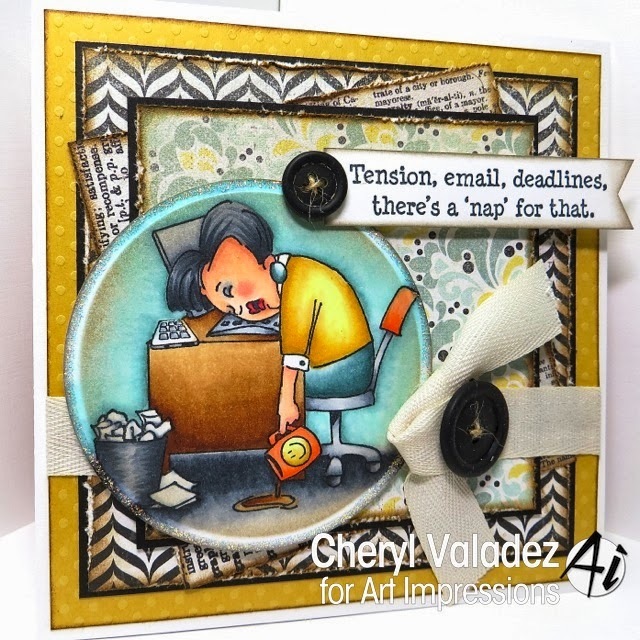 Cheryl, your card is awesome! Your coloring of the image is perfect. Great card!! Awesome coloring and so perfectly put together. Love it!! So great Cheryl! ♥ this! Hahaha, you made my day with this card, really! Fabulous creation for one of 'these' days! LOVE it! Thank you for an inspiration! OMGosh, I LOVE that image! It's too perfect for work! You did an amazing job on it!! LOVE it!